While Hookedblog were off in Berlin on an adventure, it looks like Dominican born, Miami based artist Evoca1 has completed work on his latest mural, which he started working on last week here in London. Hitting up one of the ever changing wall spots on Hanbury Street, East London with assistance from 31 Thirteen, Evoca1 was joined on the wall by Pixel Pancho. 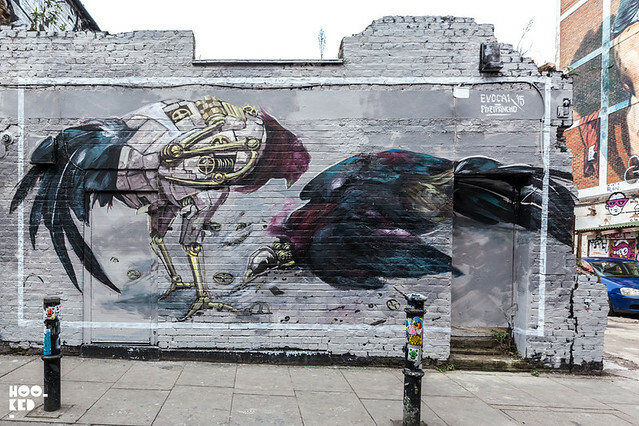 We have already featured the large scale wall painted by Pixel Pancho in Dalston (covered here), completed last week ahead of his London solo exhibition which is now on show at StolenSpace Gallery. 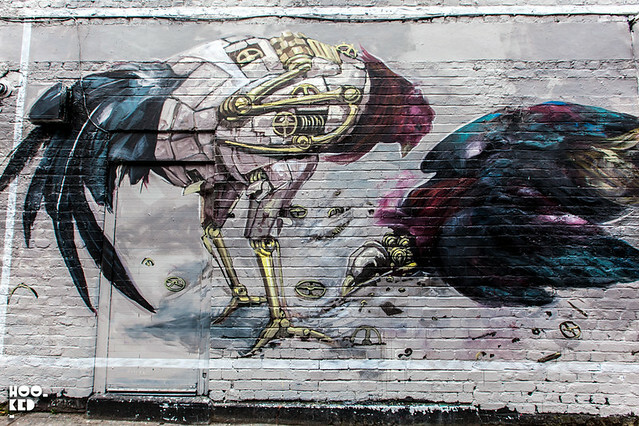 With Pixel Pancho's 'Memory of Our Life' show opening on the Thursday, the artist had some time to allow him to collaborate with Evoca1 on this new mural titled 'Reflection' and located on Hanbury Street. 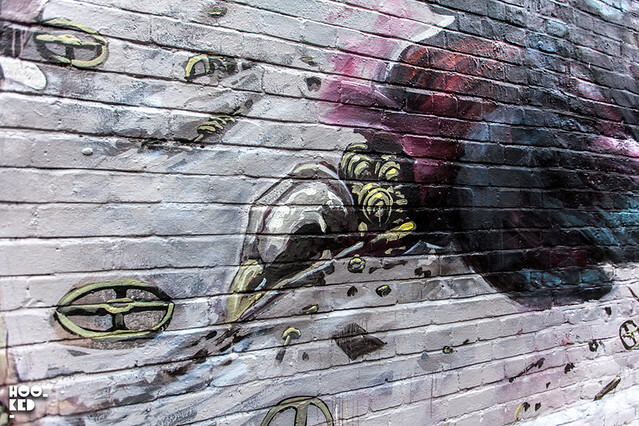 Evoca1 is still in London and has already begun work on a second large scale mural, stayed tuned for updates on this.